What have I been doing while laid off? Well I decided to join a few friends in creating a website. 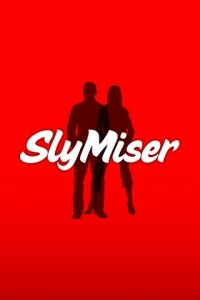 After months of work, SlyMiser.com has launched. Our tagline is “Life in Style. Budget in Check.” Our goal is to provide information to help people maintain their sense of style and being in trying financial times. We figured that these are the times when people most need distractions in their lives, and when the economy does turn around – you still want advice on how to spend money wisely. Please visit our site. It’s in phase 1, so any feedback you might have is greatly appreciated. Hopefully you’ll find the site of enough use to come back, join our community, and share it with your friends. I’m trying to get into shape. Break out the Wii Fit, my Asics, and my iPhone. Today was a 4 mile walk. I mapped my walk using an iPhone app called MapMyWalk – it does runs and rides too. Pretty darn accurate too – I used my pedometer just in case and the results were identical. You can track your walks/runs at their website MapMyRun.com and then share it with friends via the standard virtual networks. So yesterday I posted that I am writing for the Philadelphia Examiner – it’s about time I mentioned my new blog: Orangeliners.com, a blog about Philly sports. One thing that I noticed here is that the readership I had cultivated wasn’t as much interested in sports talk, but I wanted to write about it. I figured it would help me to have the two distinct sites. I haven’t quite found my voice there, but I’m hoping to grow that site into an interesting destination covering all Philly sports. If you’re interested in writing for the site – let me know either through the contact form or leaving a comment here. Kristen will stop in every once in awhile to provide the woman’s point of view. 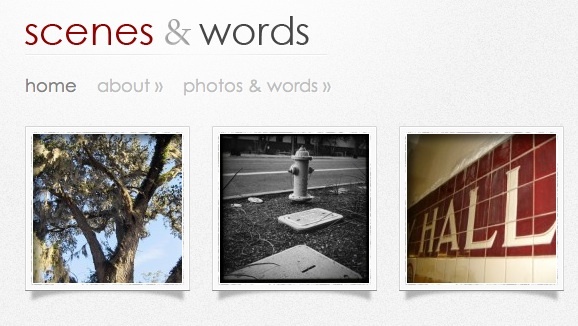 Also would love for to subscribe to the blog or it’s twitter feed. Or just stop by and join into the conversation. I’m watching Fired! the movie right now, which was written and produced by Annabelle Gurwitch. I’ve been fired and still am out there. Out there doing what, I don’t know but watching this reminds me of that last day. How bad must it be to get fired over the phone? My last layoff/firing, we had folks fired over the phone. It really wasn’t much better being fired in person. I’m using the term fired because I’m tired of euphemisms, laid off, let go, downsized – we were told that due to the economic conditions our “employment had been impacted“. In the other meeting, the meeting for those not fired, we were called the “affected”. Do I hear leprosy? So when it became obvious that I was losing my job, I did what anyone else would do – I updated my Facebook status. Once we got fired, we then we had to wait, because who doesn’t want to hang around after getting fired? The mournful looks, the crying, the avoidance (the person that ran my department never even talked to me) – good times, good times; man I wish I could do it all over again. Of course this was my fourth experience like this – so I better be careful what I ask for. When we returned to our desks, there were no boxes, no computers, and our badges didn’t work (we needed to ask for help to go pee). The best was what I’d like to refer to as the “eradication of the affected” – as we came to grips with what had happened to us, someone walked around taking our name tags down, as we stood there. (Actually I had to rummage for boxes, so it wasn’t just standing around). The final indignation was the elevator ride down. Stolen boxes in hand, workers from other companies on the elevator with us stealing glances at us. Maybe I did have leprosy? To be honest, when this happened I was so grateful not to have to go back into that office ever again. You don’t realize until you’re gone that it really isn’t worth it. All the late hours, the traveling, the missed family time – was in the end what I traded for this job that got me kicked out the door. I’ve spent 18 years in the work force learning how I don’t want to spend the next 20 or so years. It’s like starting all over, and a lot of people feel this way. So many people have been turned into nomadic employees by hammering in the fact that our employment is at their will. Best line in the movie: Getting fired is God’s way of saying you should be doing something else. Being that this is the fourth time for me, I’d say that God is being really insistent.